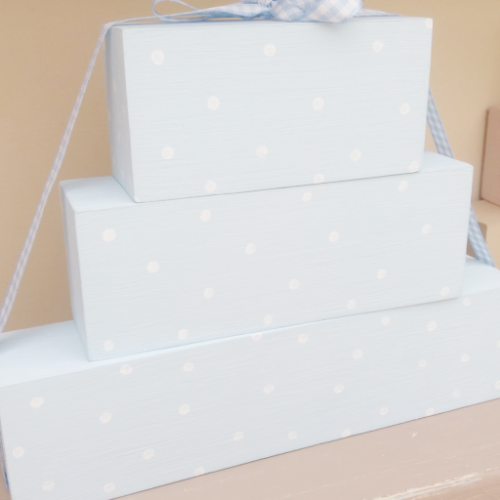 A collection of 3 hand painted blocks tied together with gingham ribbon in either pink or blue and slightly distressed around the edges. Each set of block is painted in your chosen colour. 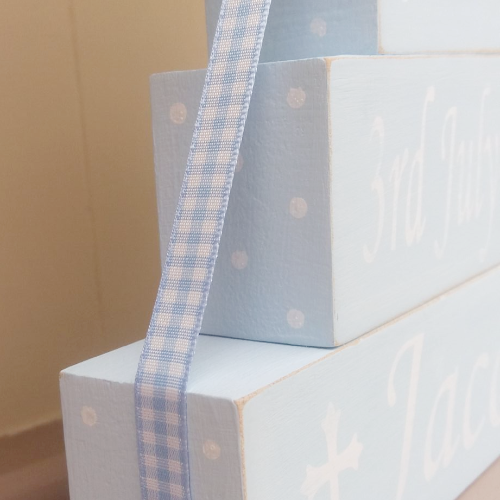 The top block has the word christened and the other two personalised with child's name & date of christening. Either side of your child's name is a decorative cross. The top block can be changed to Baptism or Naming Day if required, just let me know when you checkout in the customer request box at checkout. The blocks are decorated on the back and sides with small white painted dots. Each block is then distressed and waxed and will last for years to come.